What welder do I need? With so many different welders on the market, you should look at all the choices for which welder is most suited to you and your required jobs as there’s no single machine that can really do it all. 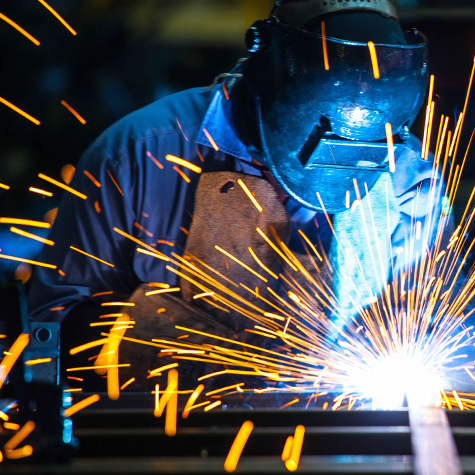 Welding is a joint where pieces or parts have been fused together, usually by heat. Most commonly welded materials are metals. The heat is generated by an electrical spark or a gaseous flame. With some minimal training, pretty much anyone can join metal together, but really specialised skills are learned with years of practice. 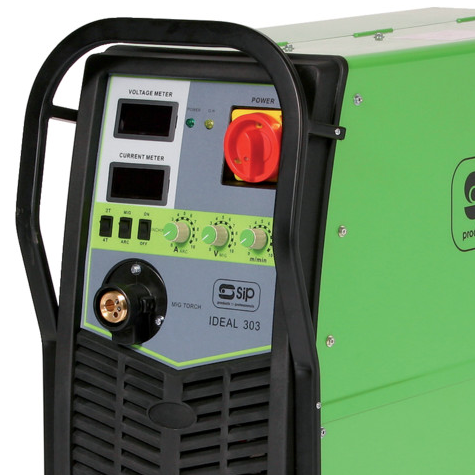 The minutes out of a 10-minute period an arc welder can be operated at maximum rated output. 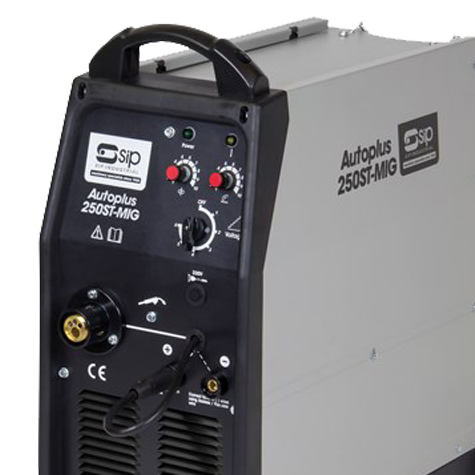 For example, a 60% duty cycle @ 300 amps means that the welding machine can be used for 6 minutes (at 300 amps) and then must be allowed to cool with the fan running for 4 minutes. This reduces the chance of heat damage to the system. The physical gap between the end of the electrode to the point where the arc makes contact with the base metal. The amps and voltage the power source will produce for a given duty-cycle period. For example, 300 amps, 32 load volts @ 60% duty-cycle. The coating on arc-welding rods and in flux-cored welding wire that is consumed in the arc to produce a shielding gas. The gas displaces air and impurities from around the weld. Protective gas used to prevent atmospheric contamination of the weld pool. Usually a mixed gas or CO2. A layer of flux protects the weld from oxides and other contaminants while the weld is solidifying / cooling. Slag is to be removed after cooling. Metal particles thrown from the weld, often cooling and hardening on the work surface. A spatter-resistant spray applied to the workpiece can minimize spatter. A device in the TIG process to control the position of the electrode, to transfer current to the arc and to direct the flow of shielding gas. A rare metallic element with extremely high melting point used for manufacturing TIG electrodes. Expressed as in/min. or mm/s and refers to the speed and amount of filler metal fed into a weld. The higher the wire feed speed, the higher the amperage. 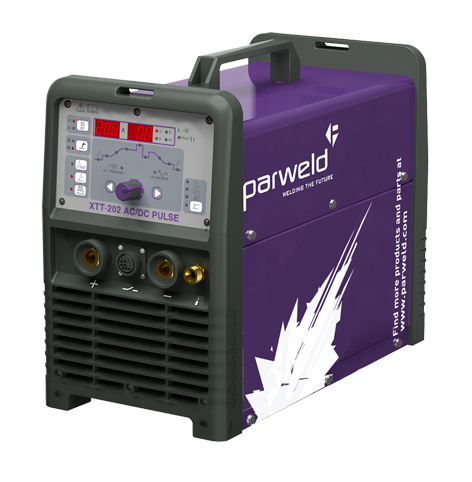 Inverter welders have many advantages over traditional welders. Both require a transformer to convert incoming current to suitable welding current, but an inverter welder does it more efficiently. They are also much smaller in size, a lot lighter and uses less power. Because they’re more efficient, their duty cycle is also higher. They use very modern electronics so lose very little heat in comparison to traditional machines, giving the smaller inverter machine the ability to use almost all of its input current where an older-style transformer could lose up to 20% efficiency due to heat loss. The modern electronics in inverter welders make it possible to maintain an ARC where a conventional transformer welder would allow the electrode stick to the work. Big 5mm diameter rods can be run on an inverter machine and it’s practically impossible to make them stick to the job. The higher frequency of the output current and computer software to monitor and adjust current and voltage while welding, produces a consistent, smooth ARC that’s easier to strike and to maintain. 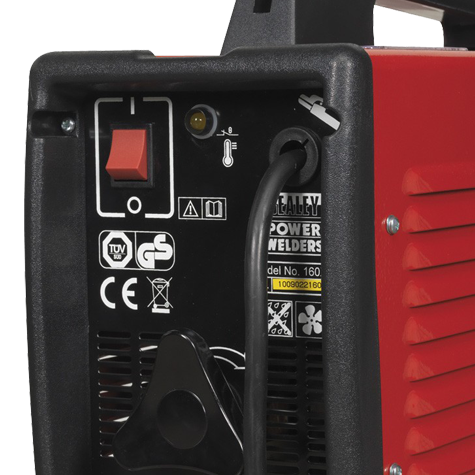 When running on domestic single-phase power most inverter welder machines do need a 15 amp power outlet. Welding consumables such as electrodes, welding wire and shielding gas typically last longer than when using a traditional welding power supply. Adjustments to current and voltage can be made for different materials and thicknesses, giving the operator tighter control over the job in hand. 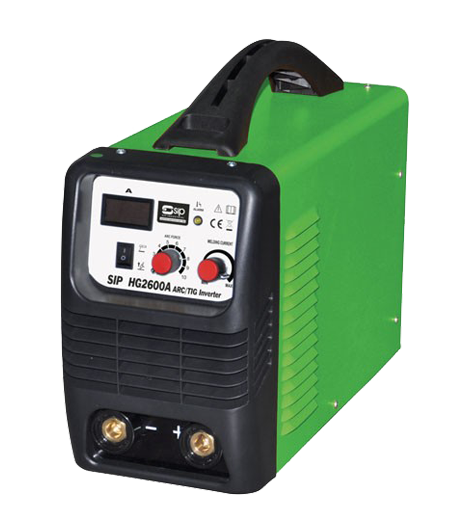 The small size and low weight of inverter welders make them very popular with many trades so are ideal in general fabrication shops and construction sites making on-site repairs an easy task. 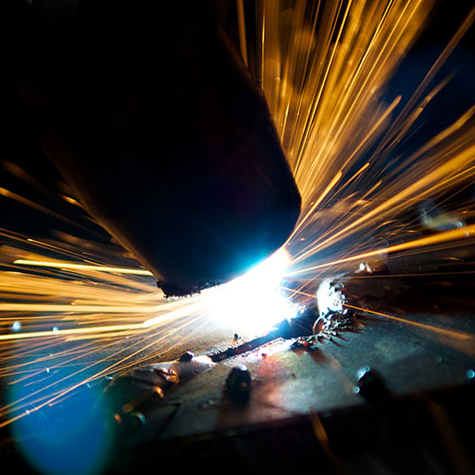 ARC welders join two pieces of metal together by generating an electric arc (spark) between a metal electrode and the metals to be joined, using high voltage. The heat produced by the arc between positive and negative electrical charge melts the parent metal which mixes with the molten deposits of the coated electrode, or the wire and gas shield. The most common arc welder is the good old ‘stick’ welder. The electrodes (the sticks) are avaialble in different lengths and diameters and look like bits of wire that have been dipped in cement. Arc welding works better than most other methods on dirty or rusty materials and in less than perfect conditions. For big welding jobs, stick welding is comparatively slow, since the consumable electrodes must be replaced every couple of minutes and because slag (the residue from the flux) must be chipped away after the weld is complete. 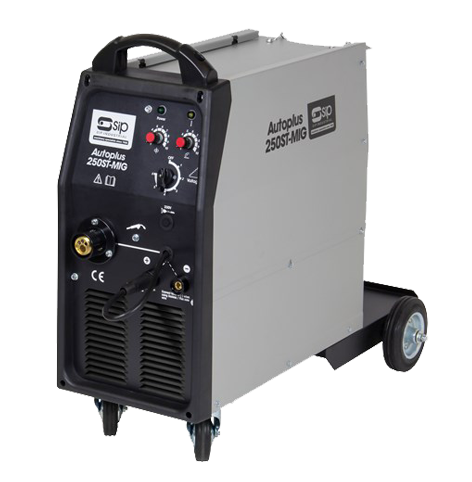 ARC welders can be AC (alternating current) or DC (direct current). Among DC welding advantages you'll have fewer ARC outages, less sticking, less spatter, better-looking welds, easier overhead and vertical up welding. Plus, with DC it’s easier to learn how to weld and you'll get a smoother ARC. DC reverse polarity (electrode positive) provides about 10% more penetration at any given amperage than AC, while DC straight polarity (electrode negative) welds thinner metals better. 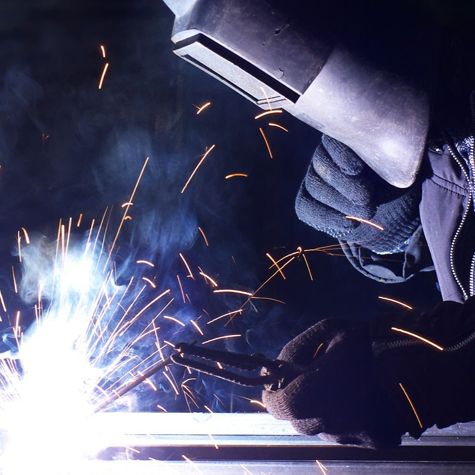 AC has advantages if welding on material that has become magnetised from friction, such as when grain or water constantly rub against a steel part. In that case, a DC output doesn’t work well because of ‘ARC blow’, where the magnetic field blows the molten filler metal out of the weld puddle. The AC succeeds because AC output alternates between polarities, enabling welding of magnetised parts. 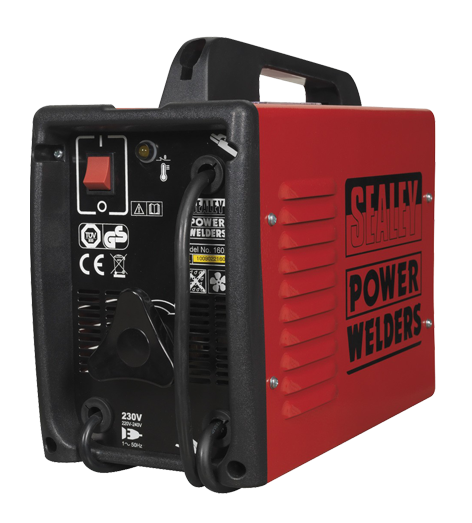 A machine rated at between 225 to 300 amps will be capable of handling most everyday jobs that a decent mechanic will need to weld. Beyond that, you might be in for a trip to a specialist welder. In fact, most ARC welding procedures require less than 200 amps. To weld material thicker than about 10mm, simply make multiple passes, this is what the professionals do, even when welding on 1-inch (25mm) structural steel. When buying a machine, the welder’s ‘duty cycle’ is important too. This refers to the number of minutes out of a 10-minute cycle a welder can operate. Tungsten inert gas (TIG) welding requires more skill than most other welding methods but is extremely versatile once the skill has been mastered. This type of welding is capable of joining a huge range of metals with variest thicknesses resulting in a neat and precise finish. In the TIG inverter welder process, the ARC jumps between a non-consumable tungsten electrode and the work piece which generates a high temperature. The inert gas shield, usually including argon or another noble gas, prevents weld oxidation. There is no spatter and thin metals are readily welded and with less distortion. The most obvious difference between a TIG welder and an AC/DC welder is the non-consumable tungsten electrode, which is held in the handle. 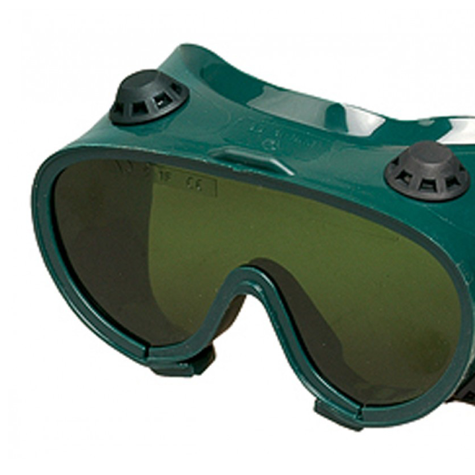 The shielding gas is directed around the weld by a cup or nozzle, designed to withstand the heat of welding. Different sized cups are used for different jobs. 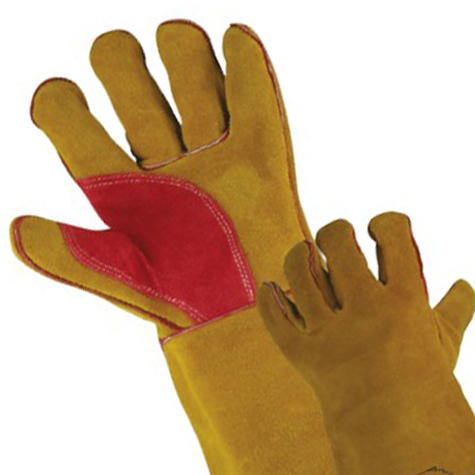 Smaller cups for smaller welds and difficult to reach areas. Larger cups for improved gas flow and coverage for bigger weld beads. While there’s no slag to chip off and clean up, TIG requires a very clean prepared surface for quality welds. 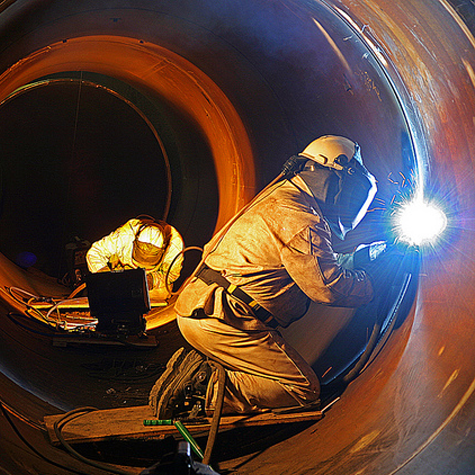 Any type of foreign matter including cleaning solvents, moisture or dirt will contaminate the weld. 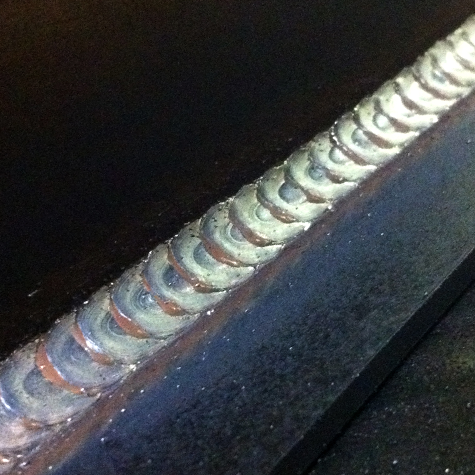 TIG welding requires higher skill levels which is something to consider alongside the cost and speed. 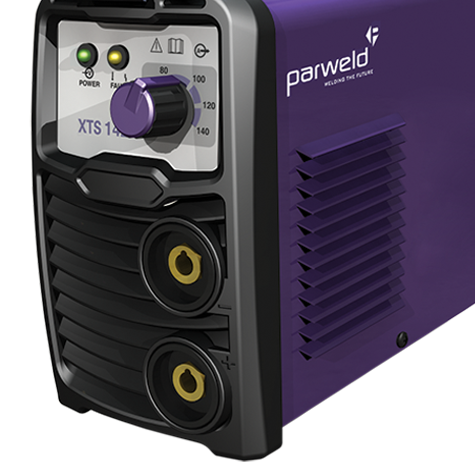 Although there are cheaper units available, a good TIG welder can cost many hundres of pounds. TIG welding is a bit slower than other ARC welding so the time spent TIG welding is relatively high. Where time equates money, another process might be more cost-effective. MIG stands for metal inert gas. 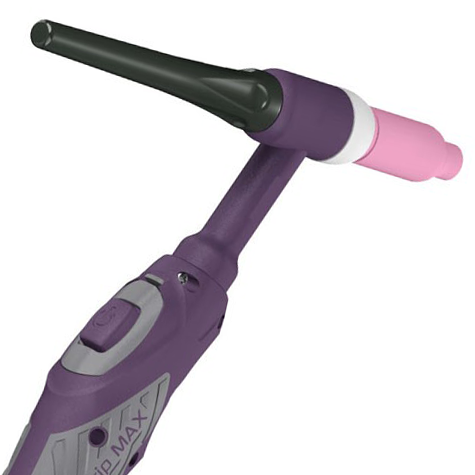 The MIG arc welder process has a continuously-fed wire electrode that melts in the ARC to form a weld. 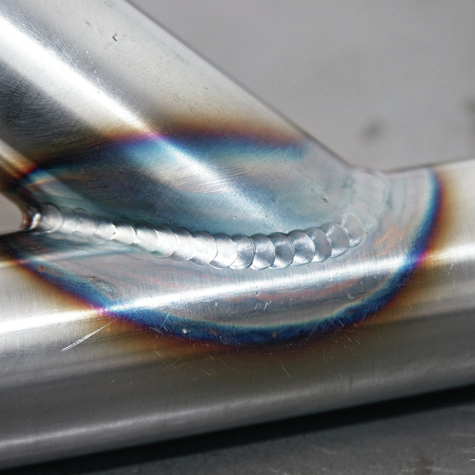 Like TIG the weld is protected from surrounding air by a mixture of gasses, usually including argon. Alternatively, tubular flux-cored self-shielding wires are available which need no external gas. 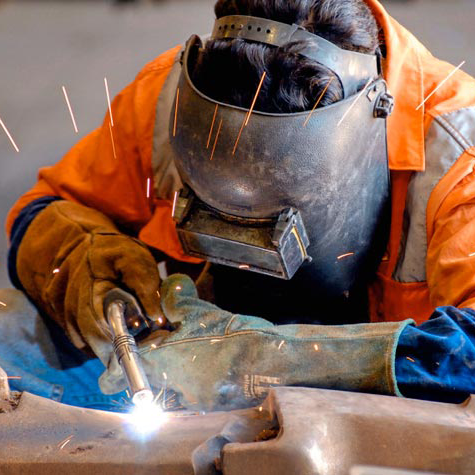 When using a MIG welder ventilation is needed because of the fumes produced and the slag formed on the weld has to be removed between passes or before painting. MIG welders with solid wire are more commonly used for heavy, thicker work because the continuously-fed electrode wire and ARC length are automatically controlled. MIG weld joints are a lot stronger, more ductile and have less distortion than other welding processes and are ideal for thin metal work, aluminium and alloys. Other things to consider with MIG welding are meter amps and volts, wire speed and position, Ideally a consistent current with very little drop in voltage is required. Duty cycle is also a consideration. The machine will need to be watched to avoid overheating. For example, a 200 amp welder with 30 per cent duty cycle should be operated for no more than three minutes in 10, allowing several minutes for cooling. 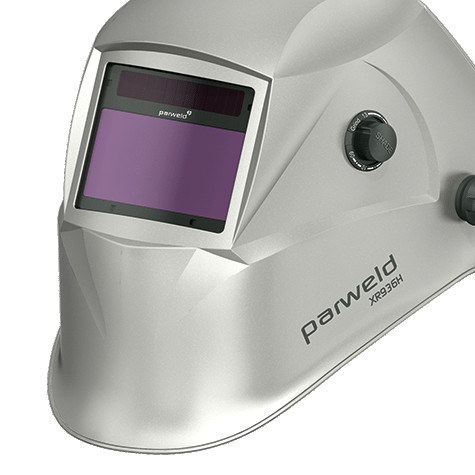 Please feel free to contact us to discuss your requirements or if you have any questions regarding our welder range.